Okays. My human has strange sense of humors. When I get outta here I make hims extinct. 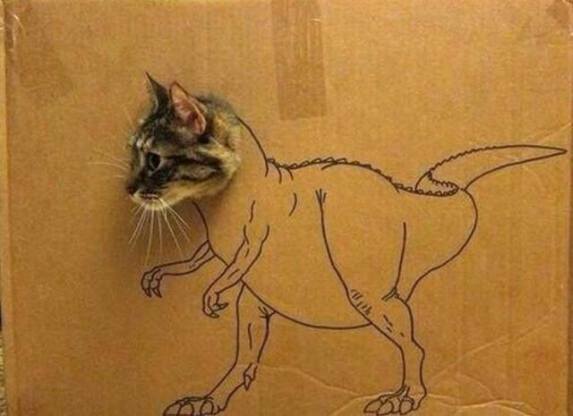 Which way to the Jurassic litter box?